Asparagus. Lovingly referred to in the produce world as “grass.” Although I do not recall seeing any college kid walking around wearing a “Legalize Asparagus” T-shirt. Maybe we should start that fashion line?? Anyway…asparagus gets its nickname because it grows like a grass. Tender spears will emerge from the dormant soil and before they get too tall (and woody) the farmer cuts them off just below the soil. They are actually a very labor intensive crop to grow hence they sell for a premium in the marketplace. With many produce items, mechanization can help keep the costs down, but with asparagus, the grass needs to be cut by hand. This helps ensure only the best spears get sliced but you also have to leave some of the spears to give the underground plant energy from photosynthesis. A storage tip: if you do not plan on eating the grass quickly, try slicing the tips off of the bottoms and soaking them in water as you would a bouquet of flowers. Then store the spears in the fridge in a plastic bag so they do not dehydrate. 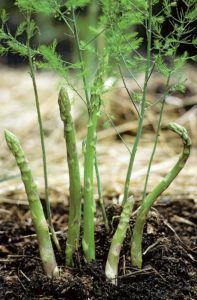 Cooking tip: place the asparagus in a frying pan, pour in 1/4 cup of water, cover and steam them for about 5-7 minutes. As those babies are steaming, mince up some garlic. When the spears are getting close but not totally ready, remove any excess water and throw in your garlic with a pad of butter. Continue to coat and cook for another minute or so. Remove when the spears are cooked but still al dente. Salt and pepper. Another one of my seasonal favorites is the Ataulfo mango. This dude definitely falls under the category of having a face only a mother could love. They are so darn beautifully ugly that it is no wonder that they really don’t have a place on the grocery store shelves. Not in this country at least. There are 2 tricks with the Ataulfos though that you need to remember. 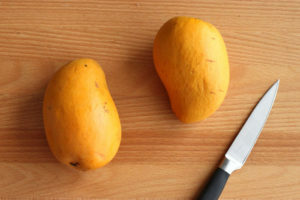 First is that this is not a good variety of mango for making salsa or trying to cut the “meat” away from the pit. So just peel and eat the darn thing like an apple. It’s a messy job but someone has got to do it. And you are up for the task. Second thing to remember about the Ataulfo is that they actually get better the uglier they look. You don’t want them turning all brown, but the natural wrinkles they get mean they are getting better. You see the fibrous meat will break down into a creamy custard texture with time. But you have to be patient with them which is hard to do. I know. So try to let them get wrinkly, resist the urge eat them too soon. You will be happy that your patience will pay off. Oh yes, another thing is to definitely not refrigerate them. Let them go through this transition on your counter. And eat at room temp. A refrigerated mango will trap all of those amazing floral notes that you get to enjoy when it is ripe. Lastly this week, I want to walk you through how one human emotion, guilt, can hinder a person’s move towards a healthy lifestyle. It plays out like this. 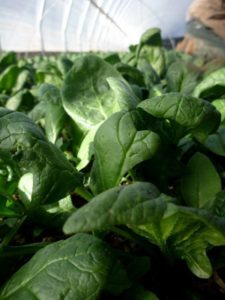 I believe that our mission to bring you a healthier regional food model can bring a lot of amazing things to your life, but it also asks a lot of you in return. 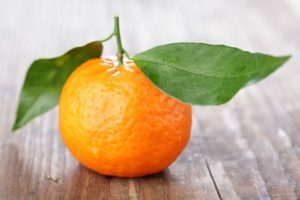 In our society where fast, convenient, cheap food is king, I am asking you to connect with your food and those who produce your food. And as we all know, connections take time out of our busy lives to forge. You cannot connect with someone or something in a week, a month, and possibly a year. So in a time when technology makes everything available to us any time of the day, asking you to take time to connect with your food is challenging. Just remember that this food model that we are building together is truly about the journey and not the destination. We are making huge strides for the health of the community and the health of the food industry. We are going to have some loss on this path, but just don’t let guilt derail our positive momentum. Focus on the forest and not the tree. OK, so I have to tell you that the best way that I have found to find direction in our business is by listening to our members. I know that Steve Jobs was famous for thinking that you have to “out-think” your customers, but I find it a lot easier to just listen to you. With that preface, let’s jump into a change that we will be implementing here moving forward. That really got my gerbil running in his wheel. And to get you up to speed, we have to juggle 4 key factors when we design a pack system. 1) We have to keep the quality of the product as amazing as we can. 2) We have to portion control so that if someone thinks that they are getting 2 lbs of grapefruit, well they get 2 lbs of grapefruit. 3) We have to maximize the efficiencies of our labor. And 4) Well, we want to be super heroes and save the world from any self-inflicted destruction. So after Karla’s email, we went through every item that we carry and thought about the best way that we could send the food to you while limiting (not eliminating) plastic bag use. The long and short of our audit is that we could probably cut about half of the bags that we use out of the equation. You will still see things that need protection from the elements in bags. Lettuce, greens, and carrots to name a few. They cannot be trusted outside the humid confines of a plastic bag. Most other items can handle themselves fairly well. But I would still have some bags on hand to put items like broccoli, beets and cauliflower in when they hit your casa. I really appreciate honest feedback from you guys and it does help forge the direction we take as a group. Additionally, I have thick skin and can take constructive criticism. The worst thing that can happen to us as a business is for someone to get frustrated and then just quit without helping us make things better first. 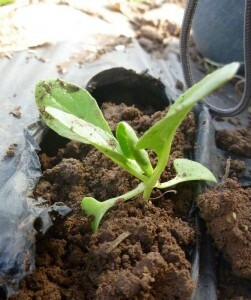 To make a better local/regional food industry, it will take the help of a village to get there. Next up, let’s look at another way that together we can build a better food industry. For those of you who have been around the farm for a while, you know that I am a firm believer in the power of a symbiotic partnership between a business and customers. Our economic marketplace gets painted with a Zero Sum brush too much. In that there can only be a winner when there is a loser. I love having a business when we can break down that stigma and try and build a more community based model. I know that the customer can win the same time that the business wins. But it doesn’t happen by accident. And at the root of this business model is transparency and communication. So let me lay the framework for a new discount plan that we have launched for you. It costs us about $7.50 to take an order, pack it, then deliver it to you. If the order is small, it might shave a few nickles off this amount. And if the order is large, it might add a few nickles to the average. But basically, it costs us the same whether we deliver a large or small order. And let me be very clear that I want our food to make up the majority of the items in your kitchen. I say that not out of greed, but from the fact that no one will take as much care in sourcing food for you and your family as we do. So when we have the best, I want you to enjoy the best and support our food partnerships as much as you can. The transparent reality is that a large order (over $100) has a better profit associated with it than does a $50 order. Those are just the facts of economies of scale. So then with those larger orders, there is room in our business model to give some of those profits back to you by way of discounts. 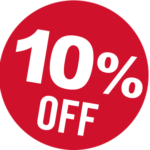 So I would like to introduce you to our Large Order Incentive; for every order of $100 or more you spend on an order, we will take 10% off your bill. There is nothing to sign up for and no hidden commitments. Just add items to your orders as you normally do and when you get to $100 in your shopping cart, the system will automatically give you a 10% discount on the whole order. This is a huge win-win for you and for us. Well January was definitely a month of new things. New partnerships, new products, and new people on our crew. So I am going to just brain dump here for a few moments reflecting back on our January and looking forward to this February. The Frontier Restaurant. Seeing as how we sold 157 dozen tortillas last week, it was not lost on folks that we have now added the Frontier Restaurant to our absolutely amazing list of partners. I grew up eating at the Frontier and so there is a real nostalgic aspect for me to partner up with them now that I have grey beard hairs. The family, the story, and the products make Frontier such a special place. And they are without a doubt an iconic food company of New Mexico. So look for their tortillas/sweet rolls now and look forward to more fun offerings to come. Verde Juice from Santa Fe. 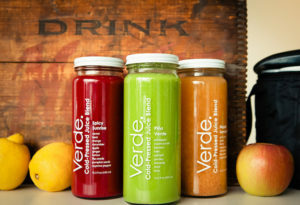 We have been working with Kelly and the Verde folks for many moons bringing them Organic produce for their yummy juices. To begin with, their distribution was focused on Santa Fe. Now they have added us to their mix and we are happy to bring you such high quality cold-pressed juice. We will be highlighting 4 of those juices on the web site now and will expand/change those juices as the seasons change. Again a great company that we are thrilled to bring into our family of partners. Oh that’s Nuts! I have been feeling this void in our offering that we do not carry more nuts. Nuts are such a good source for energy, good fats, and flavor that I knew that we needed to carry more of them. So we have added Organic almonds and cashews along with some NM-Grown pistachios from Heart of the Desert. Look for those in the Storehouse category on the web site. Romanesco, the crazy fractal veggie. Some call it a broccoli, some think of it like a cauliflower. But either way, the Romanesco is one of the most interesting pieces of food art that you can find. Let me offer up a little tip on how to prepare it though. First off the cut is so important. Avoid cutting it up from the top. Instead, flip it over and cut off the individual spires from underneath. This leaves the fractals unharmed. Next toss those dudes with some olive oil and roast for 35-45 minutes at 375. I like to see the spires just start to have a toasty brown char to them before pulling them from the oven. Salt and pepper to taste. But I encourage not much more than that. Let the Romanesco be the flavor you taste and not some sauce. It is a perfect stand alone veggie. And this week is probably a good week to look at a produce family called the Brassicas. Their family Christmas card has many faces you recognize. Broccoli, kale, cauliflower, radish, arugula, cabbage, turnip, Brussels and Romanesco all come from the Brassica family. One of my favorite produce familias. You will also notice that a lot of those faces are in our offerings lately. Well that is not by accident. You see the Brassica family share a common trait, they all like cool weather over hot. They also do not freeze until the weather gets down below 24 where as the prima donna tomato will kick the bucket at 32 degrees. So this Brassica group is a natural for growing in the Arizona winters. And we are so lucky to have such a high quality winter production area so close to our doors. 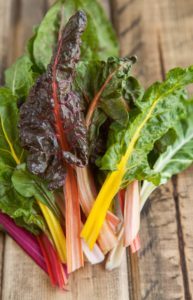 So enjoy the Brassicas, the citrus and all of the other tasty flavors that call your kitchen home this winter. Who says you can’t have incredible diversity while still supporting your regional food suppliers during the winter? ?